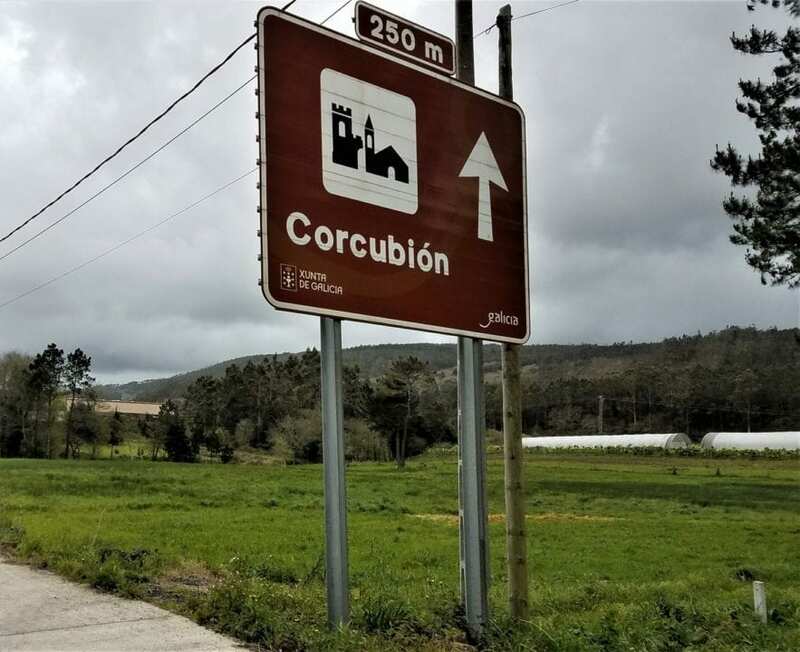 While in Muxia, Spain, on the way to Fisterra, we decide to see Corcubion, Spain. We were in the town of Muxia. 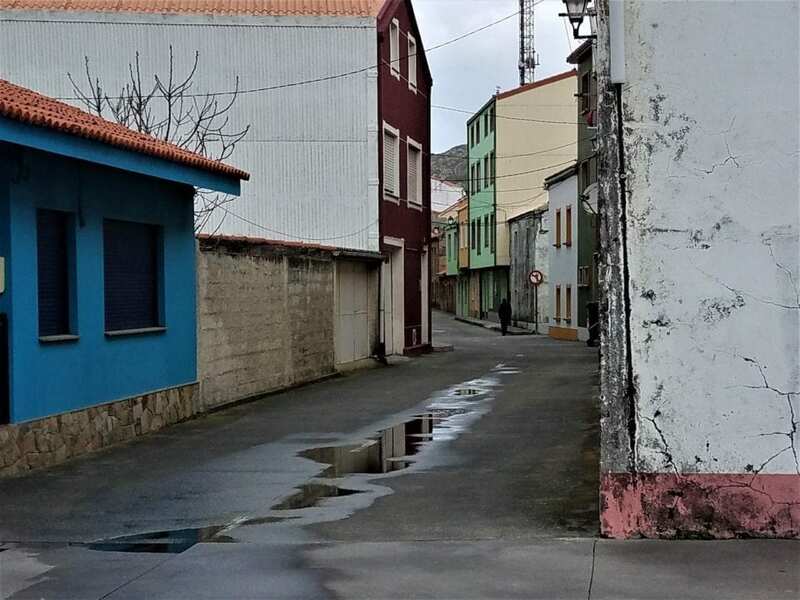 Muxia is a beautiful town by the sea, which didn’t have very many homes, and where most homeowners rent out rooms to people walking the Camino to Fisterra. 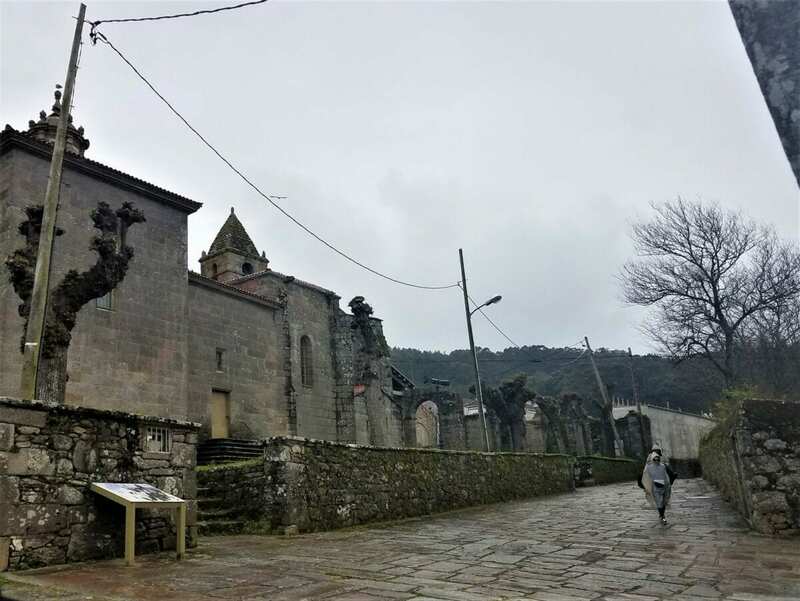 Our next goal is to see Corcubion on our way to Fisterra. My friend snaps photos, and I wonder, is it possible, just maybe, she’s taking too many photos when traveling? Is it possible? I hear her, but, wonder, who’s going to look at all those photos? And more importantly, why is she doing this? All I am going to remember about this trip is her camera in my face. 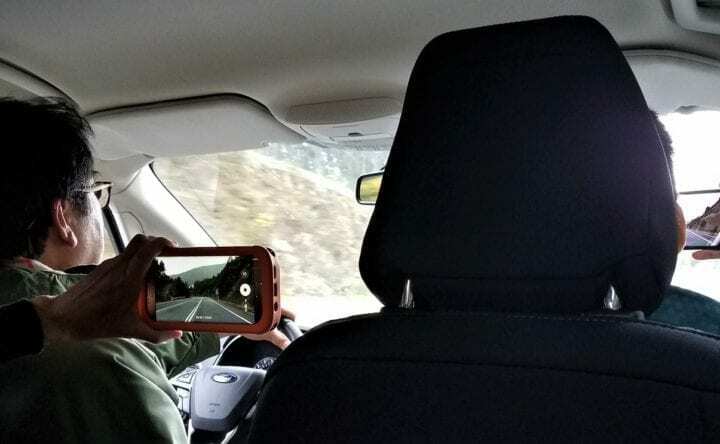 While the car is moving, and the rain pours down, the windshield wipers make a swish noise, she takes pictures of road signs, everything is photographed. There on the side of the road is a sign pointing the way to Corcubion, Spain. And to our surprise, the sign points the way to another castle and church. We had to go, right because it’s on the way to our final destination. One more stop shouldn’t matter. We are off to see another castle and church. Off to take more photographs and more photos of more sites. As we drive down the road, everyone raises their camera. Cameras out. I look to the right and to the left and all I see is cell phones raised. I couldn’t see out the windows for all the cameras. The car’s riders are ready and aiming for more photographs. I wonder if taking too many photos affects my ability to recall my memories. Then I look-up the idea of photos affects on memories. After an easy bit of research, the news is terribly bad. I find an article on the BBC photos and memories, CNN about How taking too many photos affects memories. Then an article in the Guardian on Photos, Travel, and Memories. Then NPR Washed out memories. I read Elle’s article of photos and memories, The Cut article, Ruins of Memories Now and Later, and The Telegraph, Ruined Memories. Seriously this is a problem – if taking too many photos is causing loss of our memories now, think what it’s going to be like later! Are we making a future population with no memories because of vanity and our need to get the perfect shot, selfie, and craze to photograph everything? Are we destroying our great memories by taking too many photos? Travel memories are lost when anyone over-does the travel photos. Put the camera down. Observe. Feel the place. Just be. As we drove, I looked out my window, the only one without a cell phone in it. I see the people walking in the rain. Corcubion is a very good place to explore. Hopefully, we will stop. Then it dawns on me. How about experiencing the moment? ‘Being present’. How about seeing the site? 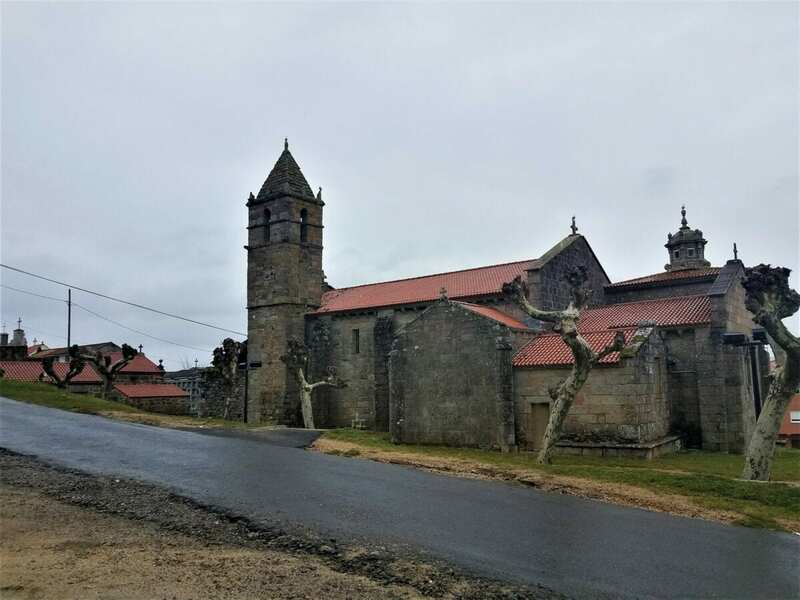 Corcubion is a real castle, graveyard and authentic church that doesn’t charge an entrance fee, and has been here for centuries, why not stop? Why not, Savor the moment. 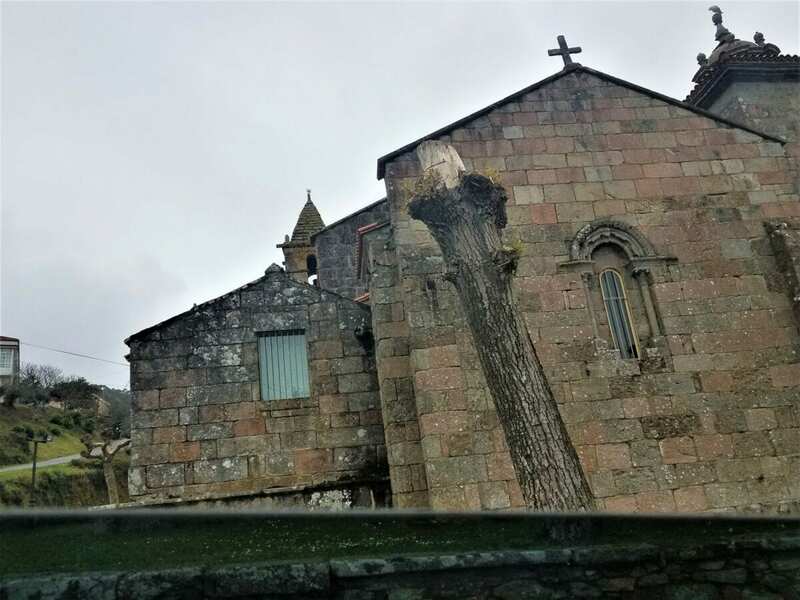 We see Corcubion, Spain through the window of a moving car on a rainy day with cell phones raised to capture the town, that we didn’t actually see or experience. There it is. We didn’t stop. I looked to my left and saw a crypt with people walking towards the ancient site. A crypt, hidden in the woods directly across the street from the church in Corcubion is probably worth exploring. We drove on to the next town. To my right, everyone’s camera is still raised. That’s it. If I blinked, as I did. It is over. We got photos but we didn’t see the town. My Corcubion memory is everyone’s cell phone taking photos of the tiny town from a moving minivan. This is the daily experience on our 18-day trip. Oh well, they have their cell phone photos. Next stop Fisterra. Travel advice: Try to savor the moment. Put the camera and cell phone down. You don’t need to take photos of every meal because if you do – you just might be making yourself prone to Alzheimer’s, loss of memory, and premature aging. Eventually, you won’t be able to share memories. To many photos might be ruining your vacation, others’ travel experience, and the ability to share your precious travel memories. No-ambiguity in this article. Great post. Preserve your precious knowledge and memories by being present when traveling, I agree with your article completely. The topic made me feel unpredicted feelings. An informative and so true article. Most travel photos are forever relegated to storage devices and the cloud, never to be seen by anyone. These photo junkies are always looking for the next greatest selfie or photo to show their friends, but I’ll bet they have little to no memory of their travel experience during their ‘photo rage.’ I know this because I used to be one of these junkies, but kicked the habit later in my travels. Your eyes should be your camera for most of your trip—you’ll see more and remember those moments many years later. Great article, Kate! Boy, you summed up my feelings exactly, I have to take photos for doing the blog. But, trust me, I took the fewest photos by far, except for the two people without cameras.